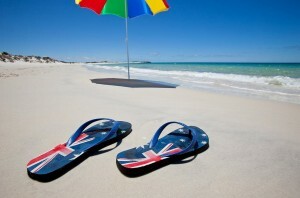 Monday 26 January is Australia Day. It’s a chance to celebrate all that is great about Australia including the many peoples and cultures that make up our great nation. It’s a day to reflect on how fortunate we Australians are to live in such a beautiful country, with good quality healthcare and schools. Many Australians were born elsewhere in the world but have chosen to make Australia their home. At Australian Migration Advice, nothing makes us happier than when one of our clients achieves permanent residence and can celebrate Australia Day as an Australian! Making waves in Sydney is the Harbour Parade where some of Sydney’s most iconic vessels will be on display. Anyone with a boat can get involved and vessels of all shapes and sizes are invited to join the flotilla and encouraged to deck out their decks with colour and flags. The people of Sydney can also enjoy the Wugulora Indigenous Ceremony. A symbolic moment to commence Australia Day, WugulOra celebrates Australia’s traditional landowners. WugulOra is a word belonging to the Eora people meaning “One Mob”, and it perfectly captures the essence of a ceremony which actively promotes and acknowledges the special place that indigenous Australians hold and have always held in this country. The ceremony will see the Aboriginal flag raised with the Australian flag on the Sydney Harbour Bridge. With green spaces, shady trees and a panoramic views of the iconic Brisbane River and City Centre, South Bank Parklands is the perfect place to spend the Australia Day long weekend. There will be over 70 free music performances including Busby Marou, interactive art by Maria Cleary, children’s performances and dancers. A spectacular display of fireworks will light up the Brisbane city skyline on Australia Day eve, Sunday 25 January. A wealth of events are on offer across the city including an Open Day at Government House, an Australia Day Picnic and Federation Vehicle Display at Kings Domain Gardens and an Australia Day parade. There is also plenty going on at Docklands with events and activities throughout the afternoon and into the evening. The people of Melbourne are encouraged to bring the family and enjoy the fun, food and entertainment on offer before securing a prime position for the breathtaking fireworks display after sundown. Perth residents will enjoy a spectacular air display including Fire bombers demonstrating a water drop. Adventurous pilots will perform stunning aerobatics in a variety of aircraft. Skywriters and skydivers will delight and the RAAF will dazzle in formation and with solo aerobatics. Best viewed from Langley Park. Later, a Fireworks display will light up the sky and close the Australia Day celebrations in spectacular style. More than 42,000 people are expected to turn out to participate in the Australia Day celebrations in Adelaide, with a parade, concert and fireworks! The event begins with the country’s largest Australia Day Parade – more than 4000 people walked through the streets of Adelaide in 2014! The Parade participants a huge number of cultural and community groups. There will also be floats, roving performers, vintage vehicles, marching bands, a giant echidna and a fly-past by an F-18 Hornet! Canberra traditionally hosts an Australia Day National Flag Raising and Citizenship Ceremony to welcome our newest Australian citizens. Similar ceremonies are held around the country and are a chance for new Australians to swear or affirm their allegiance to Australia and be welcomed into our nation. Find out more about your journey to Australian citizenship here.